Pure beauty. Extremely well painted and the orchard is a feast for the eyes, too. I love the fruit in the trees. Is this a product one can buy or did you use other materials to achieve this effect? 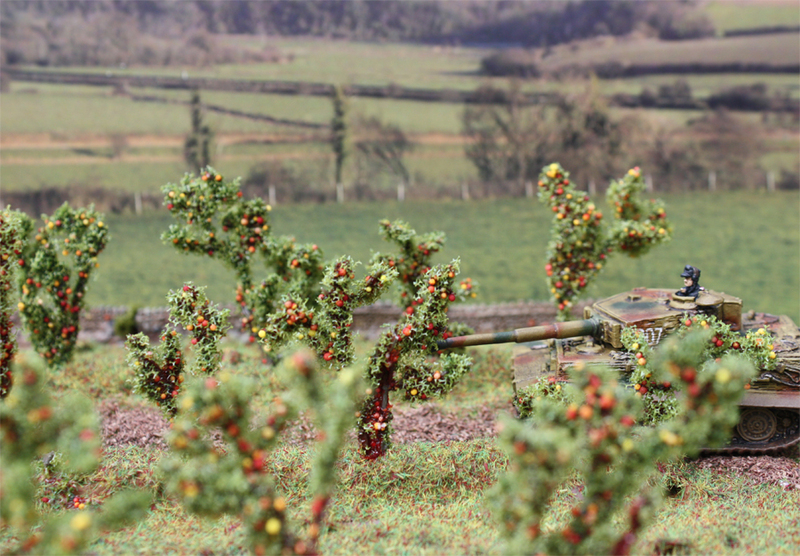 The trees in the orchard are Gaugemaster Apple trees meant to be used with H0 scale trains. 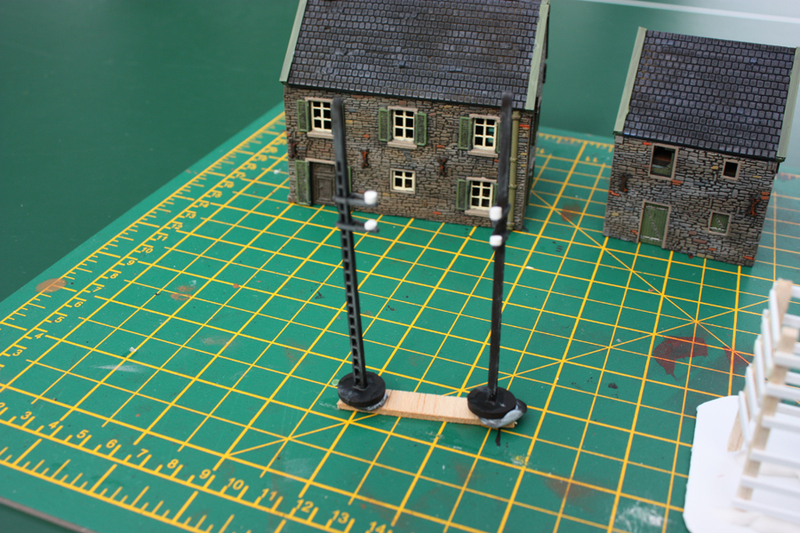 I cut them up with some wire cutters and each HO tree makes about 6-7, 15mm type trees. 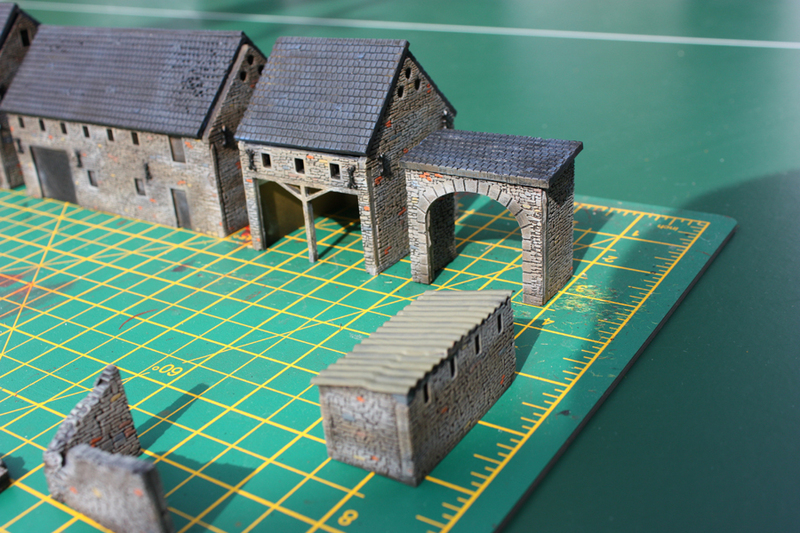 The walls to the orchard are N gauge railway walls and its all sat on a plasticard base. 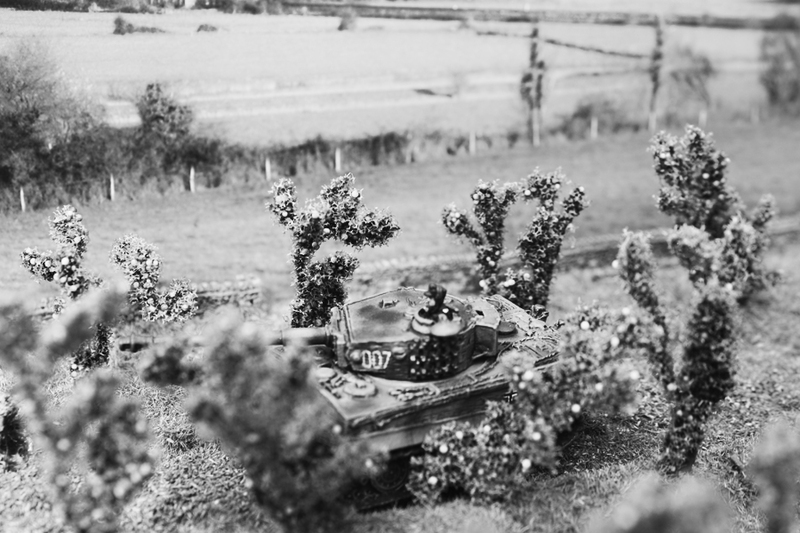 The raised lines under the trees are styrene. 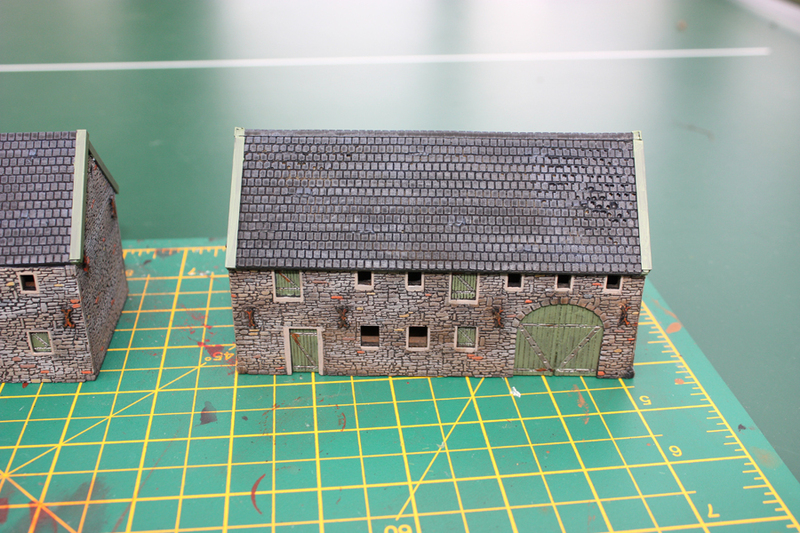 The Normandy farm will sit on a plasticard base as well. Looks absolutely fantastic all around. Please do! 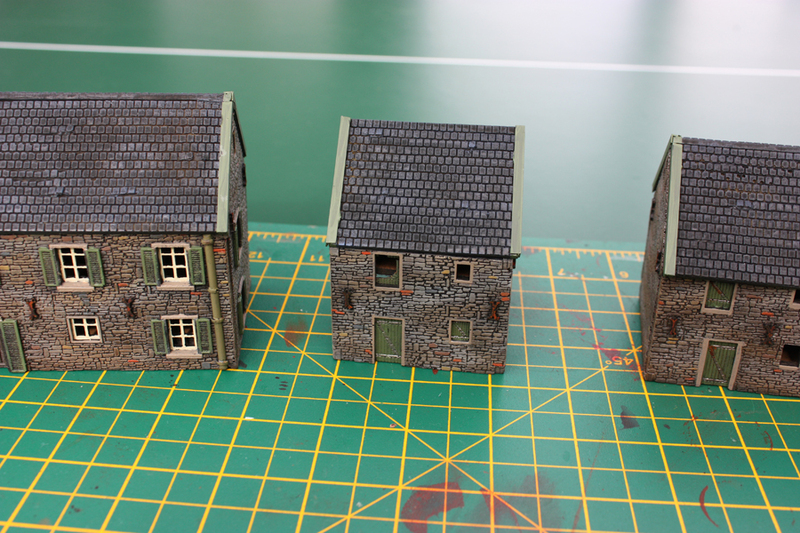 I hate to spend money on buildings, but these look SO good, especially with your painting, that I may be forced to let loose my grip on the purse strings. Great paint on the buildings and the orchard is esp impressive! 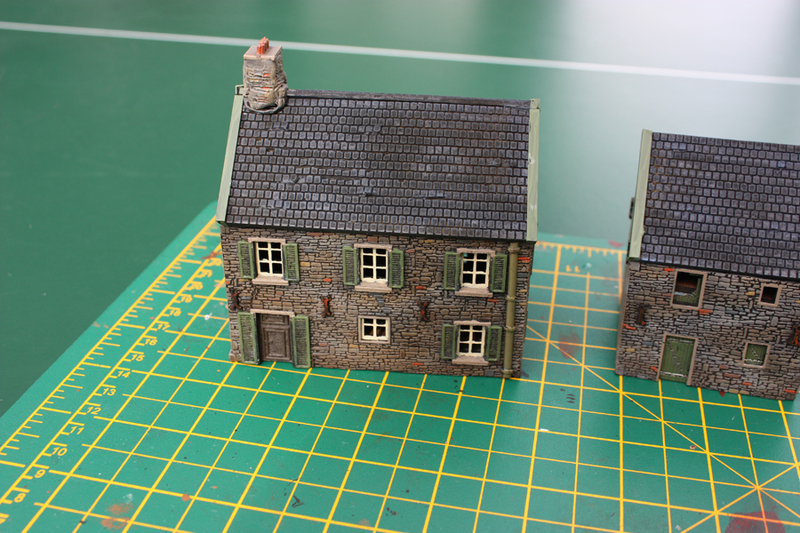 The buildings are easier to paint than you think as it’s mainly dry brushing. 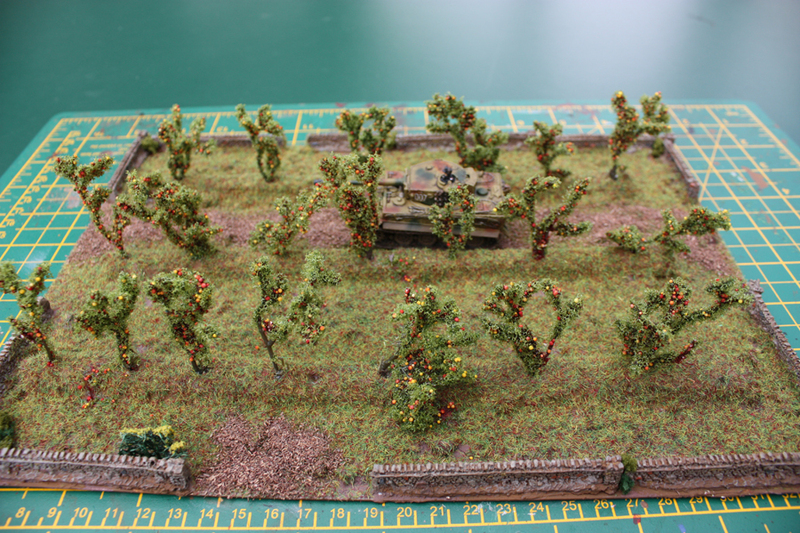 The orchard was very quick to make as well. Those buildings really panted up well.